Easy-to-use WYSIWYG editors and tons of templates. Select your template and start building your mobile website or landing page in minutes. 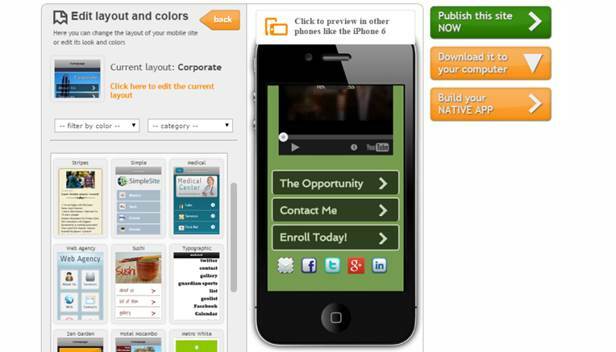 Create custom colors, buttons, backgrounds, and app icons to make your mobile website pop. 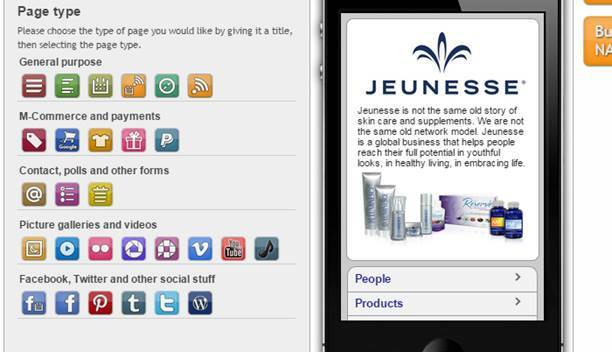 The mobile website and app builder allow you to build from dozens of different page types. Add custom HTML or use the WYSIWYG editors to easily and quickly add pictures, copy, videos, customize the content, and much more. Page types include but are not limited to calendars, lists and menus, RSS Feeds, social plugins, Ecommerce, Paypal, YouTube, contact pages, form creators, and more. 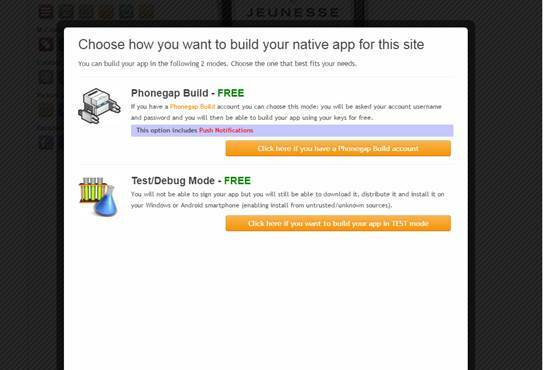 Once your mobile website is created you can use our integration with PhoneGap to launch the code for the release your native app on Google Play. The caveat here is that the mobile app stores have been changing their rules and are less likely to approve mobile sites as native apps. If you need a more sophisticated native application developed, please contact us. Each mobile website provides the embed code for your regular desktop site to redirect clients on mobile browsers to a mobile website/app. 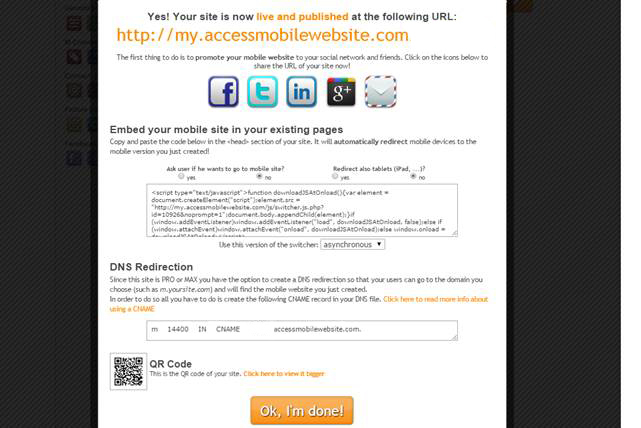 Setup a sub-domain and point it to the mobile website so users can see your own URL when they visit.